Most of us, including me, find ourselves buying the same neutral colours when shopping and stick to our comfort zone. When we do see colour, we shy away from it or stand there debating whether or not it will go with the rest of your wardrobe or if we will ever wear it. I find most bright colours like red and yellow for example go with everything and it's not that hard to wear at all. 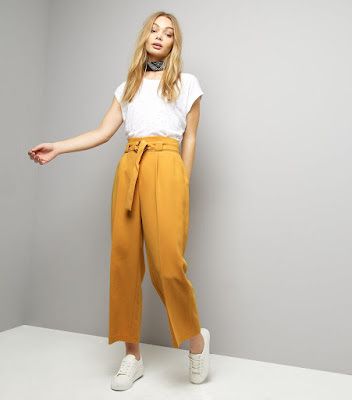 Or how about these trousers from New Look, perfect for mixing and matching and will look great even in Winter. Yellow goes well with neutral tones, especially khaki, black, grey and white, but mixes well with blue denim too. 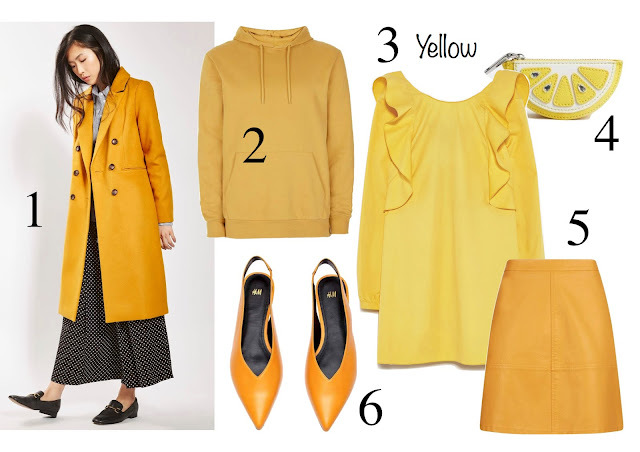 If you're feeling brave, try colour blocking, pair the yellow with a bright red or blue? Thank you for reading and here's to sunny days ahead.